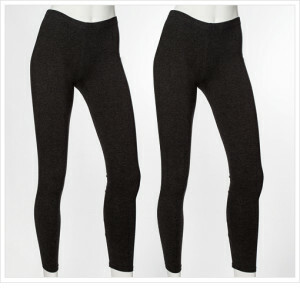 Today on 1 Sale a Day there is a great deal on Steve Madden leggings – get a 2-pack for only $16.99 with free shipping! I’ve never tried Steve Madden’s clothing line, but their shoes are to die for! He’s one of my favorite shoe designers! This is a fairly high end brand, so it’s really nice to find them at such a discounted price – only $8.50 a pair! They are regularly $50, so this is a great discount. Head over to 1 Sale a Day to check out this great sale. This entry was posted in Accessories on August 6, 2013 by Kimberly Morgan.